I admit it; I’m something of a bass-head. I love a pair of headphones, earbuds or in ear monitors that can produce deep, powerful, rich and well-textured bass tones and when I come across something that’s reasonably priced and produces the kind of bass that I’m looking for, I have to give it a try. 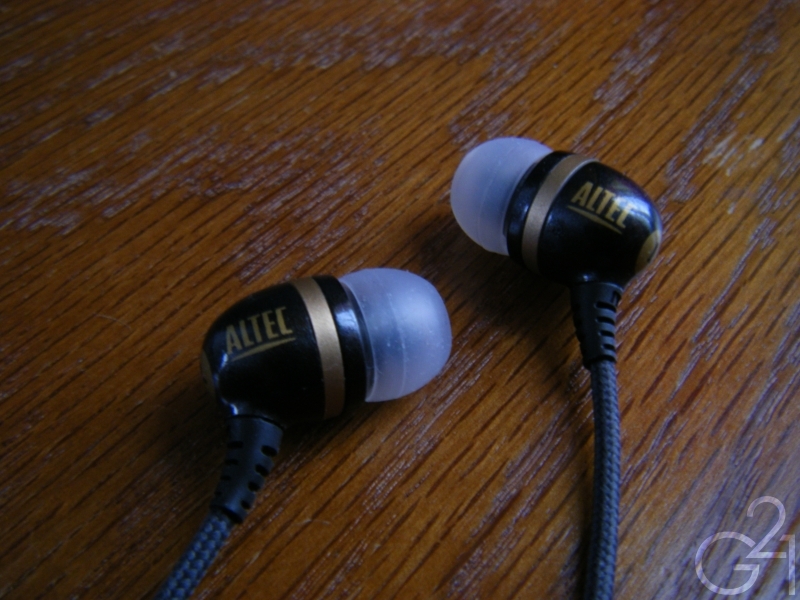 The item in question this time is a pair of Altec Lansing Backbeat Plus in ear monitors. These are advertised as featuring “extra bass power” and “balanced mids and highs”, which is fairly standard marketing jargon for such a product. I scouted these out on eBay (it’s amazing the headphone deals one can find) and managed to snag a pair for just $2.99 plus $6.99 for shipping. The retail price for the Backbeat Plus IEMs fluctuates wildly at retail and I’ve seen pairs going for as little as $15 in other eBay listings all the way up to $60 from a couple Amazon sellers so considering the fact that I had to pay a little less than $10, I figured these would be a pretty good deal. I also figured that, if I ended up hating them, then I wasn’t out a great deal of money. So, do the Backbeat Plus IEMs manage to impress with their sound quality or will these end up being another bargain bin disappointment? Read on to find out. The Backbeat Plus IEMs come packaged in a nice thin red and black box which does a good job of showing off the IEMs themselves. The included accessories are disappointing, as there are only three pairs of single flange silicone tips and that’s it. No carrying case or anything else. Considering the price I paid for them, the lack of accessories is acceptable but the higher up you go on the pricing scale, it gets that much more difficult to accept. 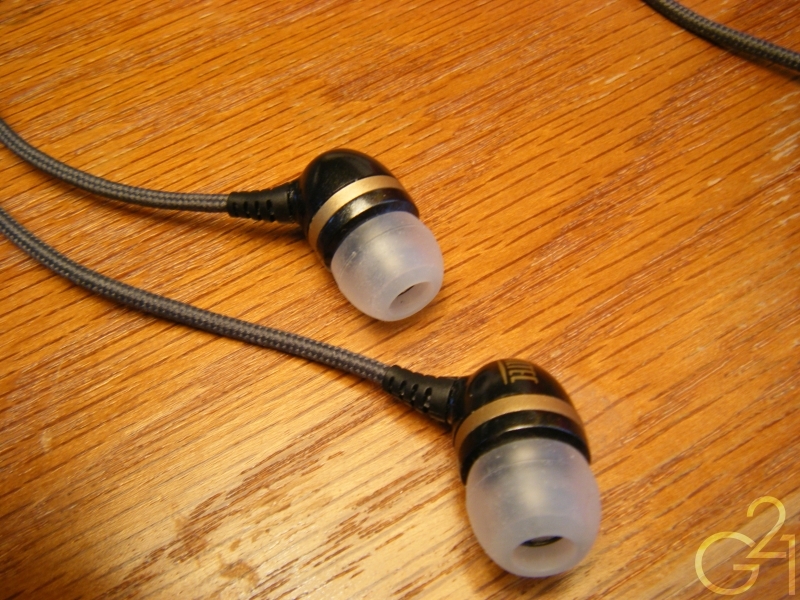 These IEMs, like their big brothers the Backbeat Pro balanced armature IEMs I reviewed before, are made of a hard plastic with a soft touch exterior texture that feels very durable and feature large left and right markings on the rear of the housings. Short but flexible strain reliefs extend down from the housings and the cable terminates into a 3.5mm straight plug that features an integrated pseudo strain relief. 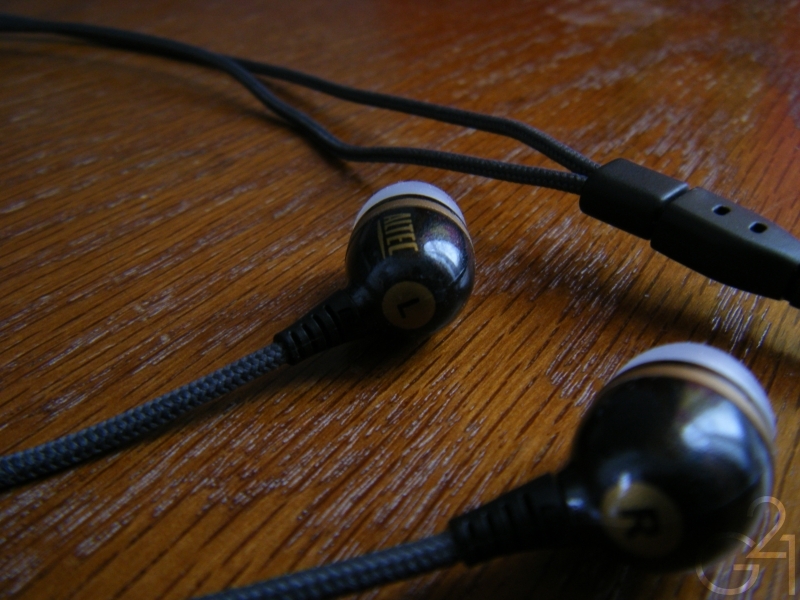 The cable itself is a thick cloth-knit design which is similar in texture to the cable of the V-Moda Vibes. The primary difference here is that the cable on the Backbeat Plus is a great deal thicker and as a result feels more durable. The unfortunate tradeoff is that these carry a massive amount of microphonic noise. Nothing I’ve ever used produces as much cable noise when rubbing against my clothing as these IEMs and that makes them very annoying to use when on the move. 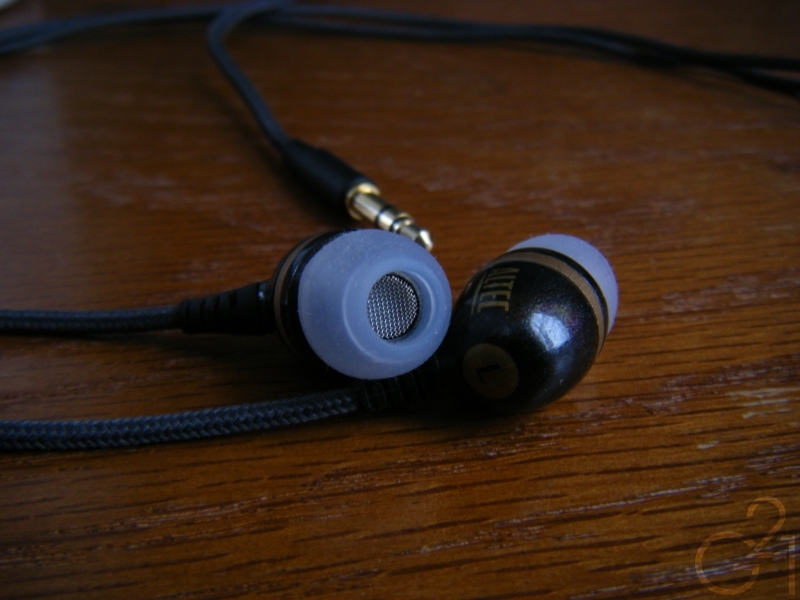 Overall, aside from the terrible microphonics, these feel like they could stand up to daily use and/abuse for a fairly long time. I have heard some reports of the cable fraying where it terminates into the plug but as long as these are handled with care, that shouldn’t be a problem. These are somewhat finicky IEMs in my experience and didn’t sound right until they were inserted into my ears just right. The stock single flange ear-tips didn’t blow me away either and I had more fit issues with them than I’d like so I swapped them with a pair of medium V-Moda silicone tips and haven’t had as many problems since then. 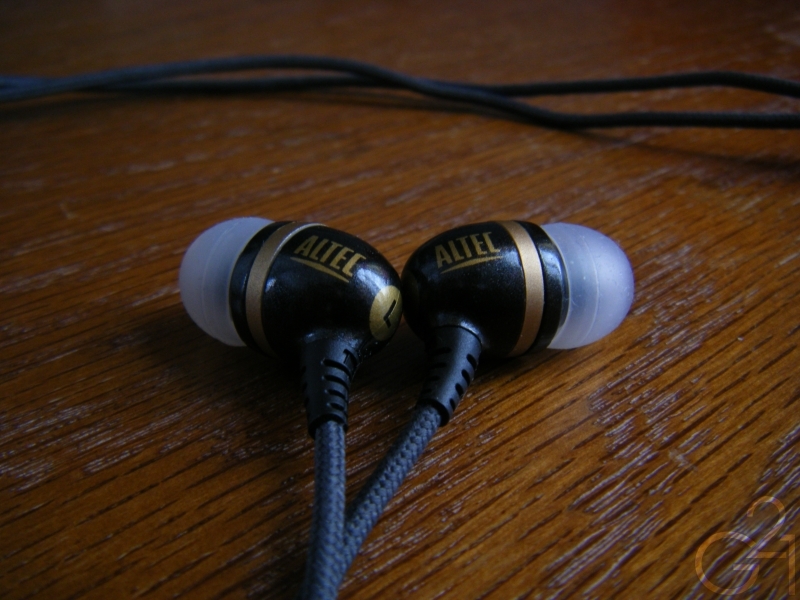 Once a proper fit was attained, they isolate fairly well and are very comfortable to my ears. 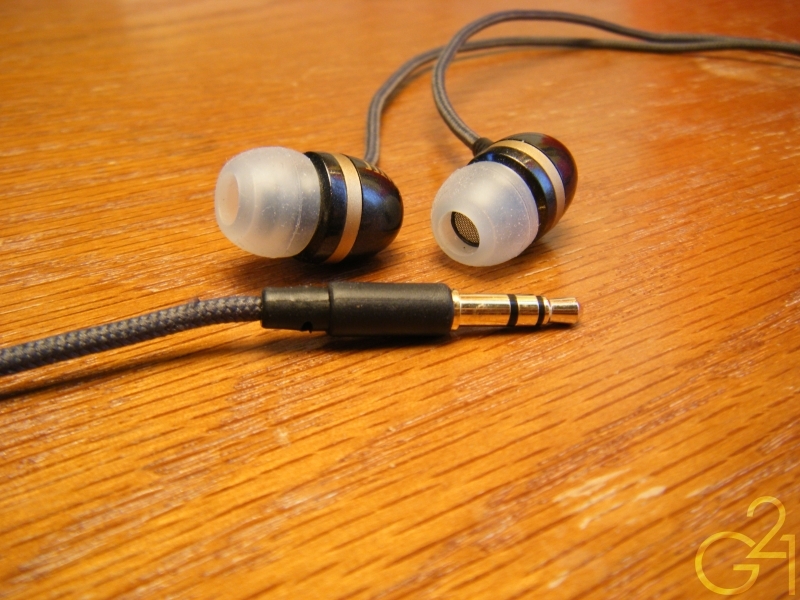 Using them while typing this very review, I hardly noticed that they were in my ears. Burn in: As per my usual, these were given no less than 20 hours of burn in time prior to review. Like the Kanen KM92s and MEElectronics SX-31s before them, these are very bassy IEMs and their sound signature is defined by the low end. Bass notes coming through these things are deep, big and powerful but don’t pack the type of punch that I was expecting. Despite the lack of punchiness or urgency the low end is very pronounced and in your face and is fairly well detailed and extends pretty low before rolling off but I can easily hear the bass rumbling at about 30Hz. There is a bit of a midbass hump but it’s not so big that it’s distracting. The low end is tight enough that it doesn’t have much of an impact on the mids. Mids are vibrant and engaging to listen to, not forward or recessed but with the slightest bit of a veil over the sound. The mids have a sense of fullness about them and are the slightest bit warm on certain tracks. Vocals are natural and clean sounding and songs are decently clear all around. Highs are nice and bright and sparkle and roll off gradually the higher up you go on the frequency scale. The linearity of the highs and mids stands out to my ears and even with the low end emphasis, there’s a nice balance between these two frequency ranges. Overall, the sound signature is full-bodied but lacking in terms of clarity and the type of high resolution you get from high-end IEMs. The soundstage is of average size with decent imaging and instrument separation. These seem to live up to Altec Lansing’s claims of “balanced mids and highs” somewhat but only when referring to those frequency ranges by themselves. 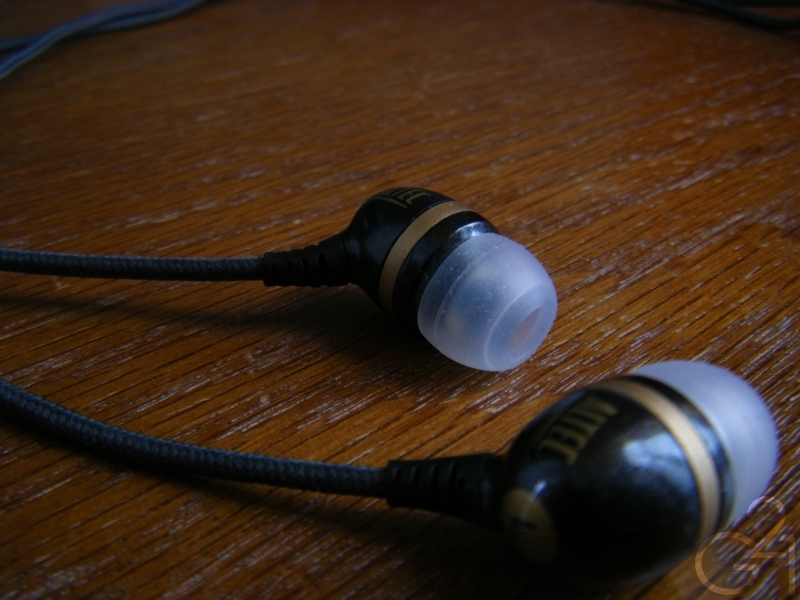 However, when the lows are factored in, these IEMs are anything but balanced. Whether or not that’s a bad thing is entirely up to your tastes in music and what you desire to hear from your headphones. Deciding whether or not these are a good value is a bit difficult with their inconsistent pricing. If you can get them for $15 – $20 or less as in my case, these are a great value, providing very good sound quality for the price. If you go any higher than that, the answer is less obvious. 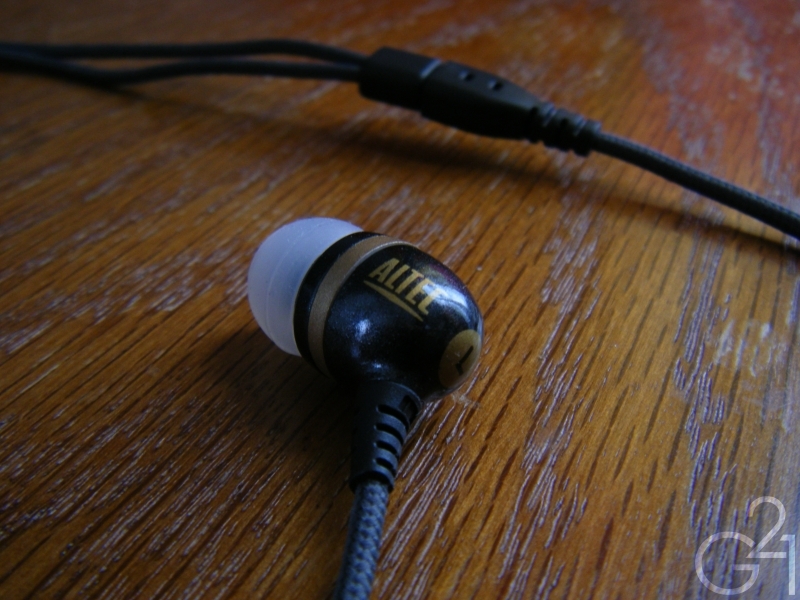 Altec Lansing’s own Backbeat Pros can be found for about $25 and are sonically superior, especially with proper equalizing. At the end of the day, I enjoy these IEMs and would recommend them to folks who enjoy big bass in addition to decently balanced mids and highs. They aren’t going to satisfy people who appreciate neutral sounding IEMs or audiophiles looking for the next big thing but for the average user, these are a very good sounding pair of earphones that should definitely be in consideration by budget conscious consumers.